The BlueSpot Tools Adjustable Grinder Pin Spanner has been designed for use with locknuts on angle grinders. 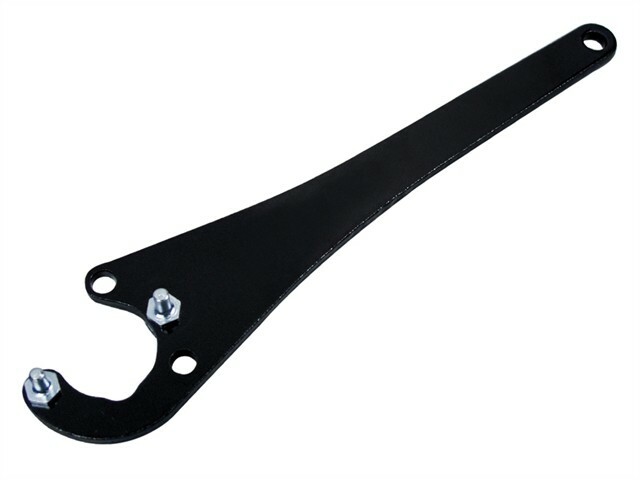 The spanner is used for fitting or removing abrasive discs with its fully adjustable pin wrench and spanner handle. The pin distance can be set to 26mm, 30mm or 35mm. Ideal for 4.1/2in, 5in and 9in grinders.